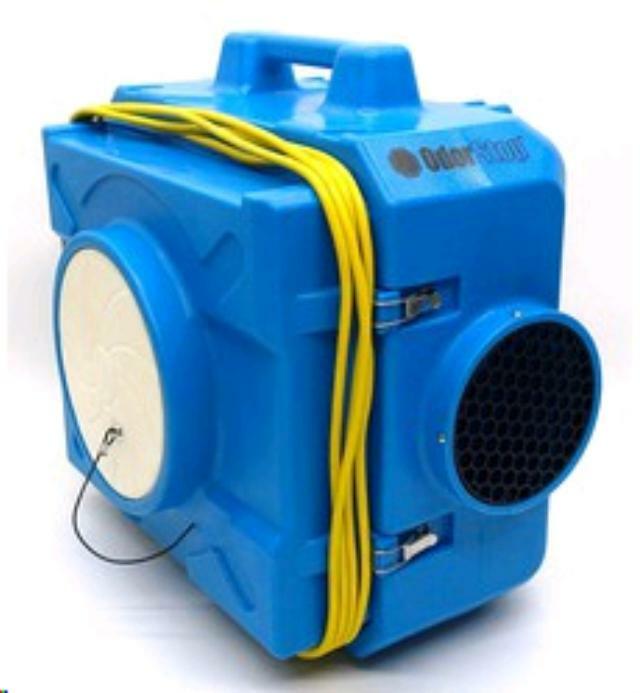 The OdorStop OS500 HEPA Air Scrubber is a portable filtration system that removes airborne particles including mold, pet dander, dust, pollen, drywall, and other miscellaneous debris as small as 0.3 microns. The OS500 utilizes up to 3 stages of filtration including a pre-filter, optional 2nd stage, and a HEPA filter. The pre-filter and second stage capture larger particles and the HEPA filter captures smaller particles as small as 0.3 microns to create cleaner air in any environment. * Please call us for any questions on our hepa air scrubber rentals in Cornelius NC, Lake Norman, Mooresville, & Davidson, North Carolina.